LOS ANGELES – It’s another weekend of buzz versus pure star power at the box office as the word of mouth sensation “A Quiet Place” finds itself neck-and-neck again with Dwayne Johnson’s “Rampage.” This time buzz had the slight advantage. 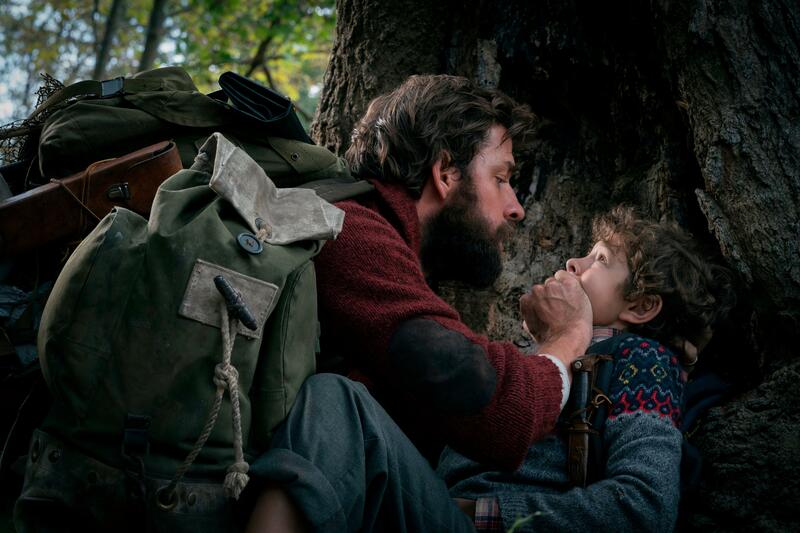 Studio estimates on Sunday have placed “A Quiet Place,” with $22 million, in first, and “Rampage” in second with $21 million, but it’s possible those numbers may shift when final results are tallied Monday. Still, John Krasinski’s “A Quiet Place” continues to be a mini phenomenon. With a $17 million production budget, “A Quiet Place” has grossed $132.4 million from North American theaters in three weeks. “Rampage,” too, is down only 41 percent domestically in its second weekend and continues to rake in the dollars globally. The film boasts a worldwide tally of $283 million, and Johnson has continued using his social media accounts to hype the film and thank audiences. The staying power of both somewhat overshadowed the newcomers, like Amy Schumer’s “I Feel Pretty” and the sequel to the 2001 cult comedy “Super Troopers,” both of which nevertheless managed to find their own niche audiences despite largely negative reviews. “I Feel Pretty,” released by STX Entertainment, grossed an estimated $16.2 million – a little less than half of what Schumer’s “Trainwreck” opened to in July 2015. Unlike “Trainwreck,” Schumer did not write “I Feel Pretty,” which is about an insecure woman who gets a life-changing confidence boost after a head injury. The concept became somewhat divisive and the subject of a fair amount of scrutiny. The partially crowd-funded “Super Troopers 2,” meanwhile, leaned into its April 20 opening and scored a fourth place, $14.7 million opening weekend for Broken Lizards and distributor 20th Century Fox. Fifth place went to the Blumhouse horror “Truth or Dare” with $7.9 million in its second weekend, while Lionsgate’s thriller “Traffik,” with Paula Patton, launched in ninth with $3.9 million. The box office for the year remains down about 2.4 percent from last year, but that will change next week. “We’re going to see a huge turnaround later this week in the box office fortunes with `Avengers: Infinity War,“’ Dergarabedian said. 1.“A Quiet Place,” $22 million ($15 million international). 2.”Rampage,” $21 million ($57 million international). 3.“I Feel Pretty,” $16.2 million ($2.4 million international). 4.”Super Troopers 2,” $14.7 million. 5.“Truth or Dare,” $7.9 million ($4.1 million international). 6.”Ready Player One,” $7.5 million ($23 million international). 7.“Blockers,” $7 million ($2.6 million international). 8.”Black Panther,” $4.6 million ($1.2 million international). 10.”Isle of Dogs,” $3.4 million ($5.6 million international). 2. “Ready Player One,” $23 million. 3. “A Quiet Place,” $15 million. 4. “21 Karat,” $10.1 million. 5. “Peter Rabbit,” $6.4 million. 6. “Isle of Dogs,” $5.6 million. 7. “The Coach,” $4.8 million. 8. “Truth or Dare,” $4.1 million. 9. “Taxi 5,” $3.8 million. 10. “Dude’s Manual,” $3.7 million. Published: April 22, 2018, 4:42 p.m. Updated: April 22, 2018, 4:43 p.m.